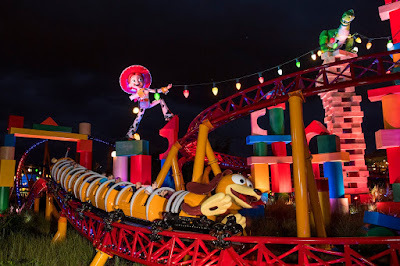 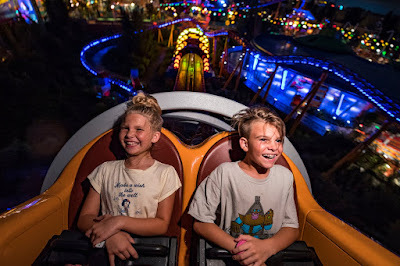 Guests visiting Toy Story Land at Disney's Hollywood Studios at night will discover a whole new experience as colorful lights transform Andy's Backyard. Inside the immersive 11-acre land, guests feel like they are the size of Green Army Men as they are surrounded by oversized toys. 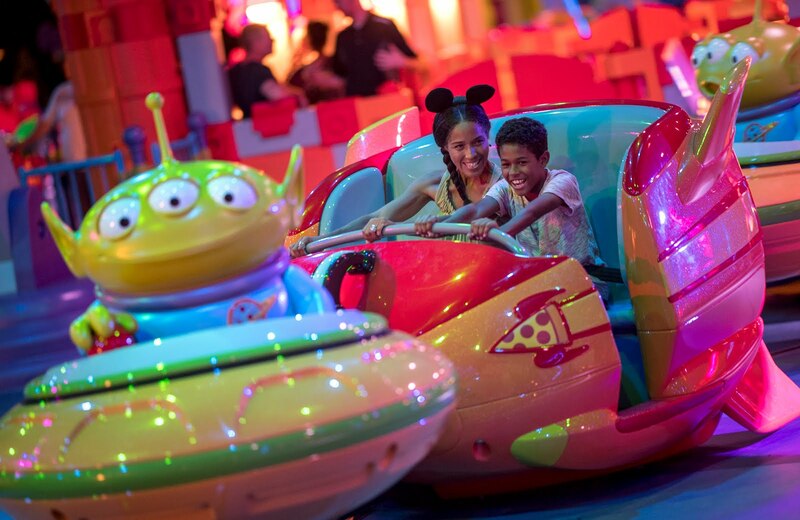 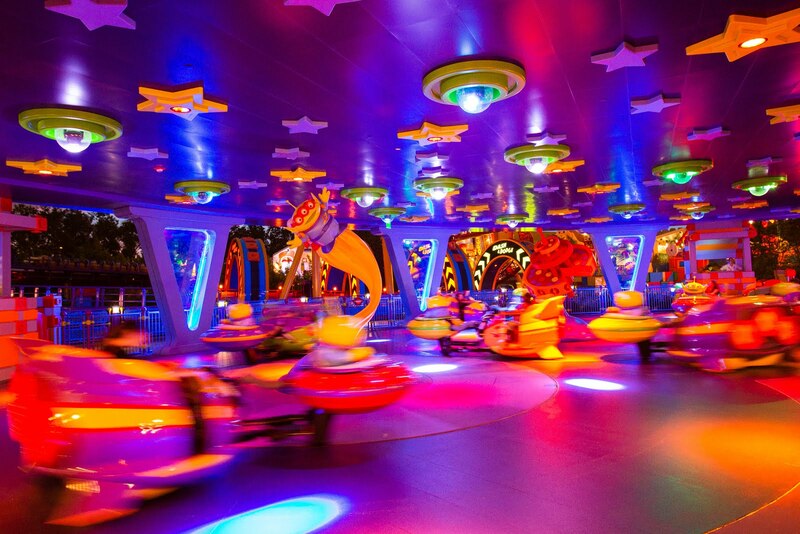 Guests can whoosh along on a family-friendly roller coaster, Slinky Dog Dash, take a spin aboard Alien Swirling Saucers and try for the high score on Toy Story Mania!